In our latest commentary, GHPC Executive Director and Senior Fellow Sara Allindermakes the case for increased U.S. leadership on global human rights issues to mitigate the risk of a resurgence of new HIV infections around the world. She writes, “There is a crisis of prevention hindered by infringement on human rights that challenges our ability to reach many with services and bring down the new infection rate. At the same time, U.S. government leadership on these underlying human rights issues has eroded.” Sara calls on the U.S. government to demonstrate financial and moral leadership on HIV. Read her full analysis here. GHPC Senior Associate Janet Fleischman has released a new report calling on Congress to more intentionally align U.S. support for economic empowerment with U.S. investments in women’s health services. The importance of economic empowerment for women to achieve inclusive economic growth has gained bipartisan support in the United States, but success will require strengthening alignment with women’s health programs, including maternal health, family planning, and HIV services. 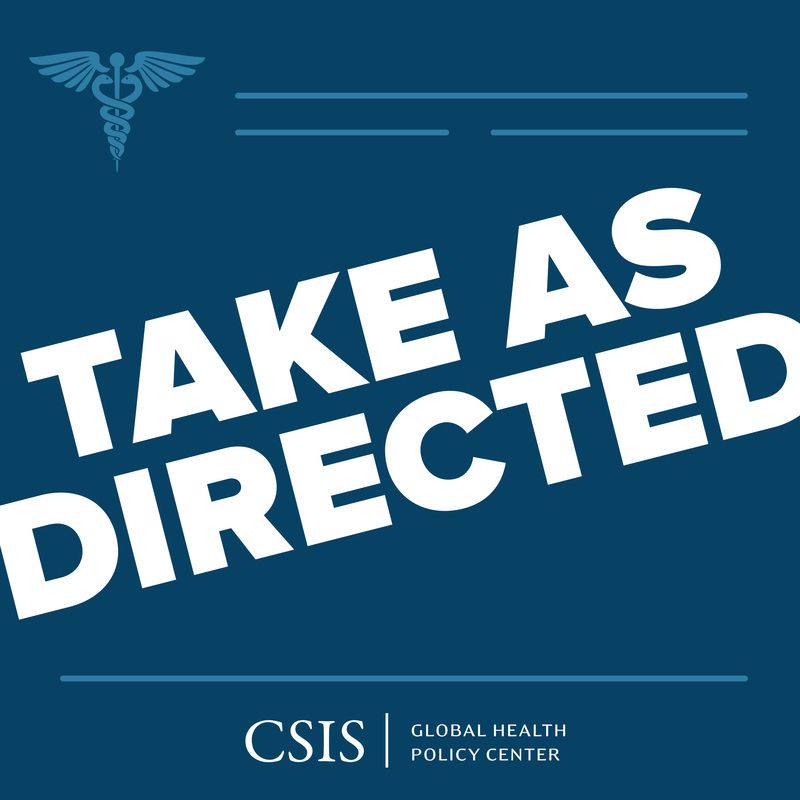 This policy briefing is part of the recently launched CSIS Women’s Health Policy Forum, which seeks to generate consensus around concrete U.S. policy options and continued bipartisan support for women’s health and international family planning as key pillars of U.S. global health and development policy. Read the full report here. With the Time’s Up and Me Too movements, 2018 has been dubbed the “Year of the Woman” – at least in the United States. But what about in global health? While women make up approximately 75 percent of the global health workforce, they must be empowered to hold more than their current 25 percent of leadership positions. On the heels of the Women Leaders in Global Health conference, which Sara attended in London on November 8-9, GHPC will host a public event on December 12 to explore issues in advancing the role of women in global health policy setting and decision‑making. GHPC has invested considerable effort in these issues over the last 10 years, including through the Women’s and Family Health Task Force, the CSIS Commission on Strengthening America's Health Security, and the Women's Health Policy Forum mentioned above. The panel discussion will look ahead to 2019, which will see a High-Level Meeting on Universal Health Coverage and replenishments of the major global health financing institutions, and try to answer the question of how to make 2019 the “Year of the Woman” in global health. Sara will moderate a panel that will include Mariam Claeson, Director of the Global Financing Facility for Every Woman Every Child, and Thomas C. Quinn, Director of the Center for Global Health, Johns Hopkins University. Register here. Bihar State is the third largest in India with a population of 110 million, which would make it the 12th largest in the world if it was its own country. Bihar has some of the highest rates of maternal, neonatal, and infant mortality in India, as well as malnutrition, stunting, and high fertility. These issues are exacerbated by extreme poverty, early marriage, gender and social inequality, and low literacy rates. The Bihar Technical Support Program (BTSP), funded by the Bill & Melinda Gates Foundation and implemented by CARE, was founded to address these challenges with the goal of boosting capacity and self-reliance. It offers many lessons learned about innovative program design to meet a variety of critical health challenges, as well as for purposefully building capacity with the intent to transition support at a designated end date. GHPC will host a half-day conference from 9:00am-1:30pm on December 19 to explore those lessons learned and how they might be utilized and adapted by other health and development programs. Speakers include the Deputy Chief Minister, Health Minister, and Principal Health Secretary from the Government of Bihar, as well as representatives from CARE, the Gates Foundation, IBM, Stanford University, and USAID. Breakfast and lunch will be served. Register here. Dr. Orin Levine. Photo courtesy of CSIS. On November 13, GHPC hosted a half-day conference on “Innovations to Improve Vaccine Equity.” The day began with a keynote discussion between me and Orin Levine, Director of Vaccine Delivery in the Global Development Program at the Bill & Melinda Gates Foundation, in which we focused on the remaining challenges in scaling up equitable vaccine delivery, particularly for immunization programs in chaotic and disordered settings. Our conversation identified three key areas in which large populations of unimmunized children remain—urban areas, conflict settings, and remote and hard-to-reach communities. Panelists throughout the day agreed that those three areas must be targeted to achieve more equitable immunization coverage. Our first panel discussion, “Improving Vaccine Coverage Equity,” looked more closely at some of the innovative new tools and strategies in immunizations, with Jonathan Mosser, Clinical Fellow, Institute for Health Metrics and Evaluation; Lora Shimp, Technical Director, Immunization Center, John Snow, Inc; Brian Atuhaire, Technical Lead, Immunization and Advocacy, PATH Uganda; Adrien de Chaisemartin, Director of Strategy, Funding & Performance, Gavi, the Vaccine Alliance; and GHPC Senior Fellow Nellie Bristol moderating. The discussion explored advancements and remaining shortcomings in compiling and using subnational data for nuanced analysis of the disparities in vaccine delivery on the ground. Panelists highlighted enduring deficits in management and staff capacity and the need to build up and sustain local systems. Our second panel, “International Partners in Vaccine Delivery,” discussed the work of different institutions to scale up these innovations, with Richard Duncan, Senior Immunization Specialist, UNICEF; Irene Koek, Deputy Assistant Administrator, Bureau for Global Health, U.S. Agency for International Development; Eric Mast, Deputy Director, Science and Program, Global Immunization Division, Center for Global Health, U.S. Centers for Disease Control and Prevention; Stacey Knobler, Director, Influenza Vaccine Innovation, Sabin Vaccine Institute; and GHPC Senior Associate Katherine Bliss moderating. There are glaring shortcomings in coordination among stakeholders that require greater dialogue and trust to identify opportunities for innovation. By connecting routine immunization systems to a longer-term vision of skills transfer and capacity building, this approach will create more resilient, sustainable platforms that can support entire health systems. The conference recording can be accessed here. November 14: North Kivu’s Ebola Outbreak at Day 105: What’s Next? The CSIS Commission on Strengthening America’s Health Security and the CSIS Africa Program hosted a panel discussion on the ongoing Ebola outbreak in eastern provinces of the Democratic Republic of the Congo (DRC), following the publication of a Commission Issue Brief on the crisis. WHO leadership is critically important to ongoing Ebola response efforts, and Peter Salama, Deputy Director-General of Emergency Preparedness and Response at the WHO, joined us via live video after his delegation to the epicenter of the outbreak with WHO Director-General Tedros Adhanom Ghebreyesus and UN Under-Secretary-General for Peacekeeping Operations Jean-Pierre Lacroix. Dr. Salama reported back on the delegation’s findings on the state of outbreak response, including the security environment, community mobilization, strengthening programmatic response, and what additional action needs to be taken to contain the crisis, and commented on WHO’s evolving leadership and strategy. 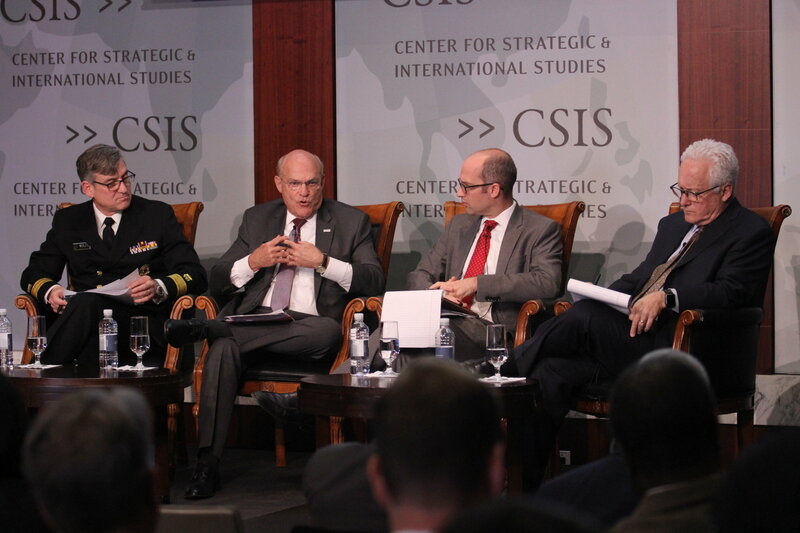 I moderated the discussion featuring Dr. Salama; Mitchell Wolfe, Acting Washington Office Director and Chief Medical Officer, CDC; Tim Ziemer, Acting Assistant Administrator, USAID Bureau for Democracy, Conflict, and Humanitarian Assistance; and Judd Devermont, Director, CSIS Africa Program. Panelists examined impressive progress and dangerous gaps in the outbreak response, including insecurity, upcoming elections, the role of the Ebola vaccine, and community mistrust, and deliberated recommendations for U.S. and global leaders. Watch a video of the live event here. From Left: Mitchell Wolfe, Tim Ziemer, Judd Devermont, and J. Stephen Morrison. Photo courtesy of CSIS. Women’s Economic Empowerment and Access to Women’s Health Services: Women’s health services, including maternal health and family planning, are critical to enable women and girls' access economic empowerment opportunities. 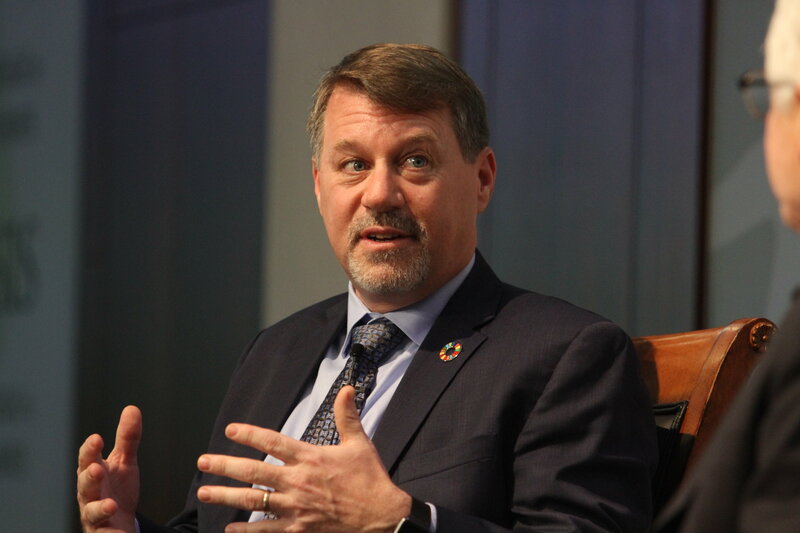 In this episode of Take as Directed, GHPC Senior Associate Janet Fleischman speaks with Margaret Schuler, Senior Vice President of the International Programs Group at World Vision, and David Ray, Vice President for Policy and Advocacy at CARE. The three discuss how the current bipartisan momentum around economic empowerment for women provides an opportunity to strengthen linkages with U.S. investments in women’s global health, how such an approach fits with USAID’s “Journey to Self-Reliance” framework, and the role of women’s groups and faith-based organizations in promoting access to both economic empowerment programs and women’s health services. Who are the Allied Democratic Forces (ADF) who are Attacking Ebola-hit Areas in Eastern Congo? : The ongoing Ebola crisis in eastern DRC, the first Ebola outbreak in a war zone, is posing unprecedented challenges to responders. Much of the difficulty stems from the region's volatile security situation, yet the particulars remain a mystery to many. In this episode of Take as Directed, I am joined by Judd Devermont for a conversation that provides critical context on operating in eastern DRC, including clarity on who the Allied Democratic Forces (ADF) are and perspective on the relationship between the Ebola outbreak and the upcoming, highly anticipated elections in DRC. Upcoming episodes include: Dr. Robert Mwadime, a nutrition expert and Chief of Party based in Uganda; Michael Merson, Professor of Global Health at Duke University; Senator Ayesha Raza Farooq, Chairperson, Senate Committee on Delegated Legislation, Pakistan, and the former prime minister’s focal person on polio eradication; Dr. Orin Levine, Director of Vaccine Delivery, Global Development Program, Bill & Melinda Gates Foundation. As always, I welcome your questions and comments, and from all of us at GHPC, happy holidays and best wishes for a healthy 2019!